Forty-one Daesh terrorists have been killed by Turkish airstrikes and shelling as part of the operation to liberate northern Syrian town of al-Bab from the terrorists, the military said on Friday. A total of 177 terrorist targets have been shelled by the Turkish military, destroying shelters, defense positions, command centers, weapons and vehicles. A total of 10 airstrikes have been carried out in Suflaniyah and Bzagah districts, destroying four shelters, four headquarters and two arms-laden vehicles. 72 Improvised Explosive Devices (IEDs) have been destroyed by Turkish explosive ordinance disposal teams over the span of 24 hours, adding up to a total of 2,917 since the beginning of the operation, while 43 mines were neutralized. The Turkish army is supporting Free Syrian Army (FSA) fighters in liberating al-Bab, a strategic city for Daesh, from the terrorist group. Friday marks the 143rd day since the city was surrounded in order to liberate it. 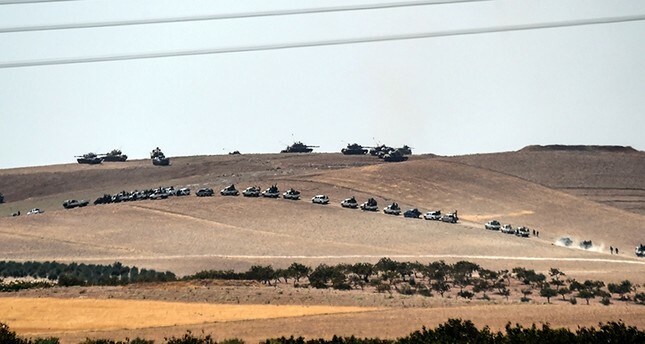 The military action is part of the Turkish-led Operation Euphrates Shield, which began in late August to improve security, support coalition forces, and eliminate the terror threat along Turkey's border using FSA fighters backed by Turkish artillery and jets. Ankara has already vowed that Operation Euphrates Shield would continue in Manbij and Afrin, which are both held by the PKK's Syrian offshoot, the People's Protection Units (YPG), after al-Bab is liberated.